About two weeks ago, I tried 16 different kinds of pizza which meant I finished anywhere between a full or half slice per pizza. Why did I do such a gluttonous thing? 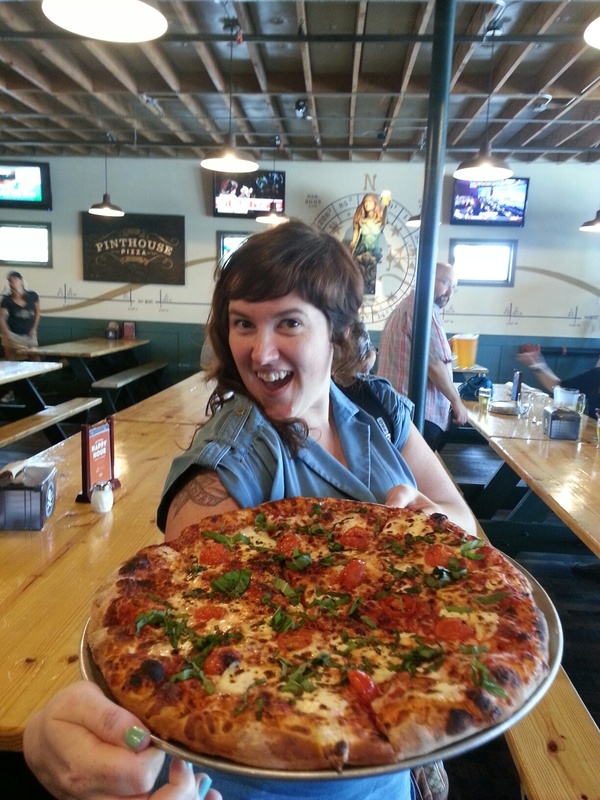 I was Christy’s lucky plus one to Google Local Austin’s Pizza Tour. Google Local Austin hosts fun themed progressive dinners where they charter a bus and take you around notable places in Austin to have taste comparisons of the tour’s theme food. 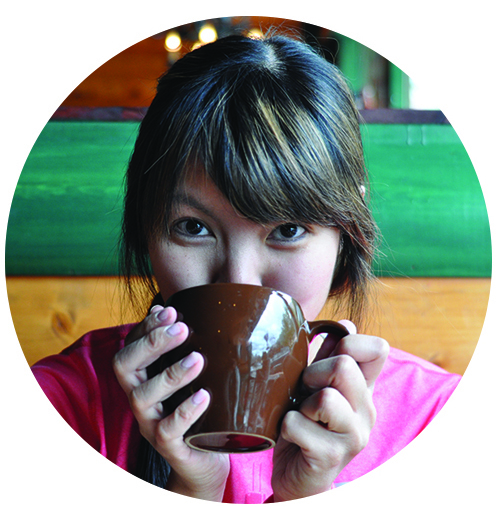 This is my second food tour with Google Local Austin and guys, these events are so much fun. I love progressive meals and Google does a great job hosting them. 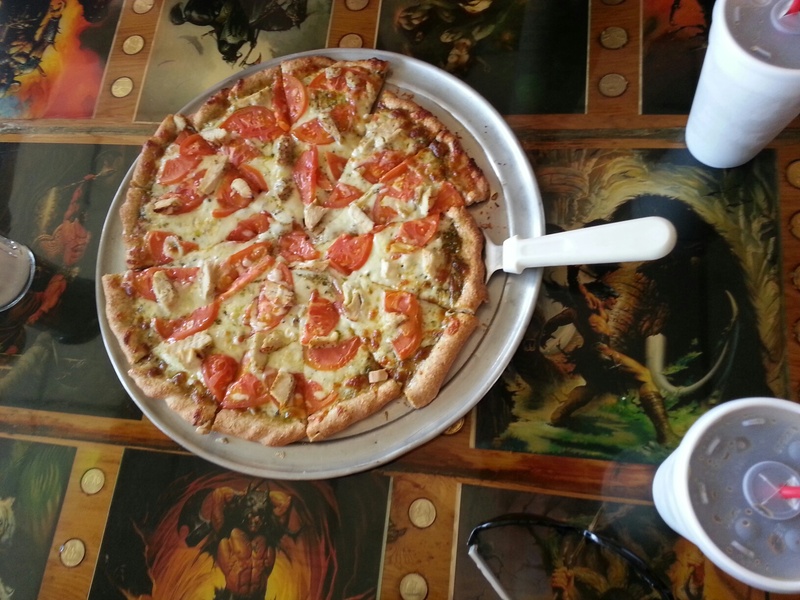 I’m not going to write about all 16 pizzas but I’ll tell you my favorites at each place. 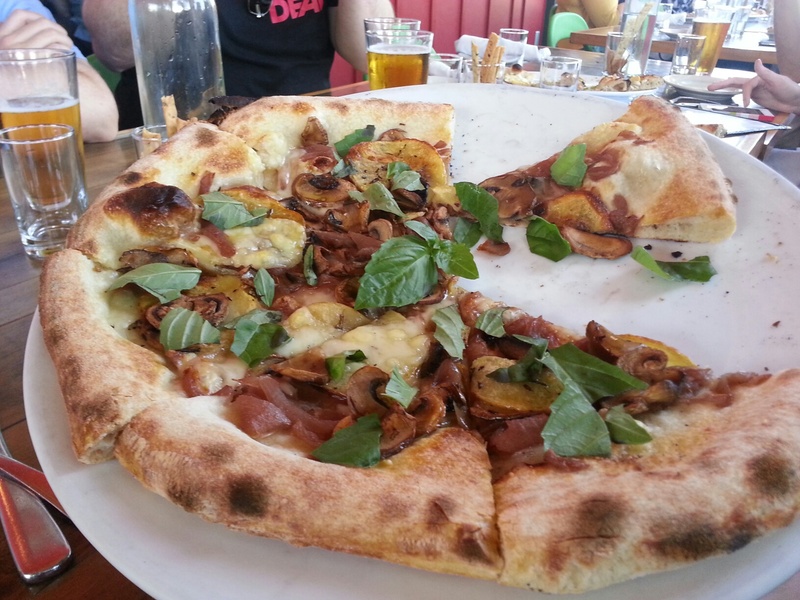 I tried four kinds of pizzas at the fairly new 360 Pizza. My favorite was the Blanca 360, which is comprised of roasted garlic, mozzarella, ricotta, aged provolone, goat cheese, arugula and toasted pine nuts. I’m pretty enamored with arugula. It’s not pictured because I was too busy licking my fingers and tucking in. Blogger failed. You know what I wish they would add to this pizza? Proscuitto. Mmm proscuitto and arugula. Specialty pizzas like the Blanca will run you either $21 for a 16 inch pizza or $22.50 for an 18 inch. Confession, when I saw that we were going to try Pinthouse, I was escatic to finally try the Banh Mi pizza I see gracing my Instagram feed. A banh mi and pizza love child?! What an intriguing match! Bryn, our host from Google Local made her orders and when I saw that the Banh Mi pizza wasn’t on the list, I had to give her a gentle but strongly worded nudge. She ordered a couple of Banh Mi pies and I’m so glad I made the push because it overshadowed their other perfectly tasty pizzas we tried. I was happy to overhear I wasn’t the only one who thought this! I would have felt guilty if it wasn’t well received. Mary and I speculated that it could probably be turned up a few levels if pâté and mayonnaise were incorporated. Pâté and mayonnaise are signature ingredients to the traditional banh mi. Even still, such a delicious concept pizza! 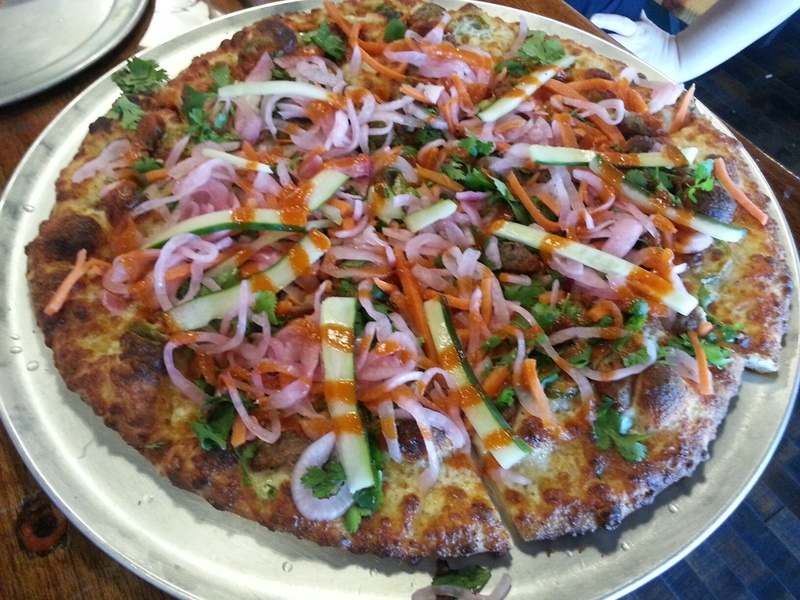 The Banh Mi pizza isn’t a permanent fixture on their menu yet so I’m not sure how much this would cost you. It’s a definite must order though! House was such a pleasant surprise for me! 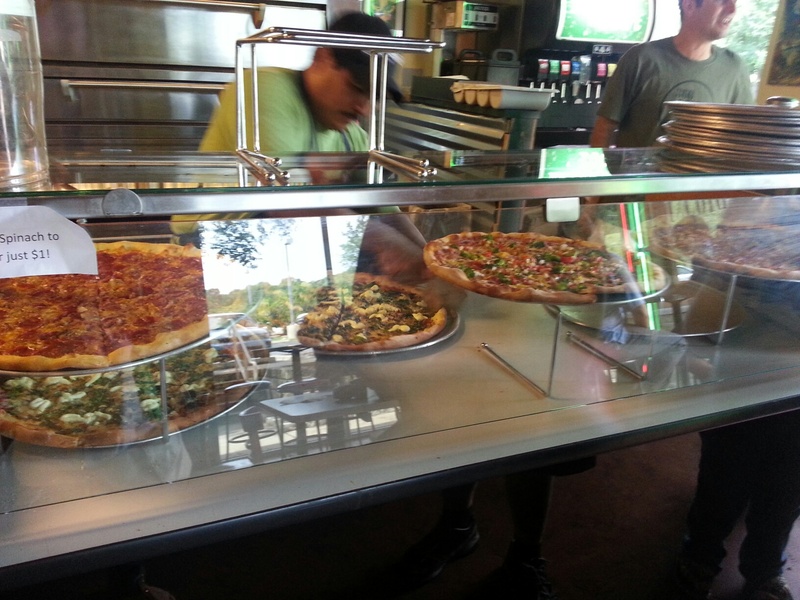 My fellow diners all were impressed by the quaint and elegant ambiance of House Pizzeria. The table was beautifully set with complimentary crunchy bread sticks and though we were starting to all get a little full, there were a few pizzas that were ordered again because they were so good we had to have more. (I swear the people I meet on these tours are my kind of people!) The Blue pizza, comprising of fresh mozzarella, Stilton, and port reduction, made its rounds a few times around our group. I failed again as a blogger because again I was too busy tucking in and licking my fingers and missed the opportunity to grab a photo. In my defense, the Blue pizza went around our tables pretty quickly! You can get a 12″ Blue pizza for just $10. My other favorite from House was the Eggplant Pizza. 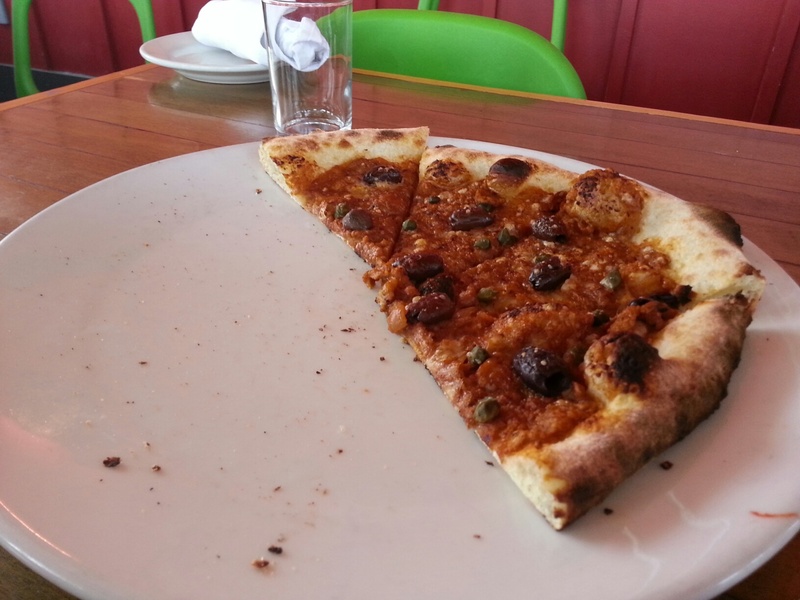 I’ve never had eggplant on pizza and the combination of the tapenade and olives really gave it an irresistible umami flavor to it. I claimed a couple of slices to have for lunch the next day. Located right on campus, I’m surprised I haven’t tried Conan’s when I went to school and then worked on campus. I tried three of their pizzas and two of them were off-putting. There was the Bacon Cheddar Burger pizza which I was so excited about and then the BBQ pizza. Both really disappointed me and tasted as if they were tailored to a kindergartner’s palate. They were bland and ketchupy. There was one pie that was good and that was the Chicken Pesto. Sadly, Conan’s was my least favorite of the four stops. Maybe that was a blessing because my stomach couldn’t handle another irresistible pie. Whew! Thank you so much Google Local Austin for such a fantastic time. Bryn was a sweet host and I had so much fun riding in a tricked out school bus with TV screens and a stripper pole. Bryn also kept us nicely hydrated in between pizza stops. 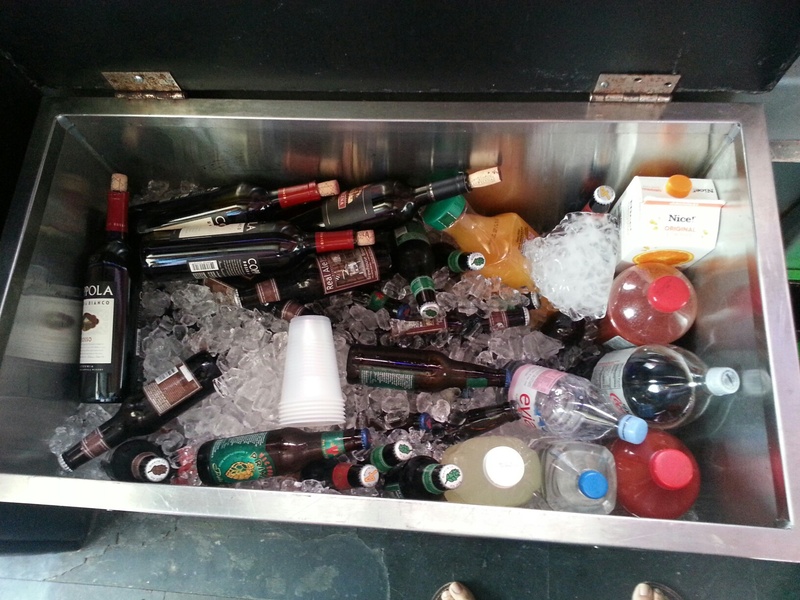 Not pictured are the stripper pole and the hilarious g-rated dancing by my eating mates. It’s probably best this way.